The BYK-Gardner BYK-mac i multi-angle color instrument. It’s easy to say, “My customer does not specify that test”, or, “We’ve always only recorded this information”. This is the easiest route to take. But, when it comes to quality control, the quickest route doesn’t often result in the best quality. Those companies who strive to improve their processes, find efficiencies, and make themselves known as being the best at what they do are those which win the big contracts and survive through even the most challenging economic times. The technology available for data recording is extensive. The number of tests that can be performed is endless. When you run into a situation where a data result is “in spec” but doesn’t correlate to what you see, what do you do? Do you let the product go? In many cases, using the right instrument can teach professionals how to quantify what they are used to seeing visually, but they first need to be taught how. Example: An aluminum pigment manufacturer has always measured the 45° angle during Production QC. It’s all they’ve ever needed to record and all their customers have asked for, but the data measured at this angle doesn’t reflect what is seen visually. What can be done to improve their quality when they are already passing the specification? The Batch looks dark and blue to the Standard, but the delta 45° shows light and even slightly yellow. How can the manufacturer confidently deliver this product to their customer? What happens if the customer were to look at the other angle measurements using the BYK-mac i? 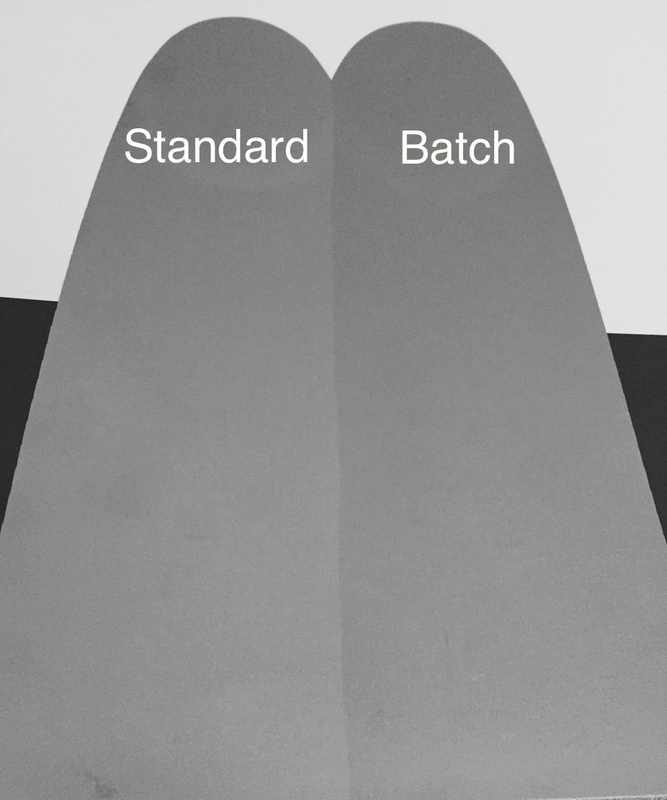 The Batch delta 15° and 25° angles read dark to the Standard, as well as blue. Dark and blue are what the manufacturer and the customer see when they look at the samples visually. The 15° and 25° angles are more relevant to this application than the 45° and 75° angles. This makes the 45° and 75° angles irrelevant to the Manufacturer’s QC process for this particular product, even though the manufacturer has used this angle in the past in some circumstances with success when all that was available was the 45° angle with their old spectrophotometer. The customer wants to know the 45° angle result on the Certificate of Acceptance (CofA), and this does not have to change; however, the Manufacturer can decide more confidently whether the Batch will be within visual tolerance and if it needs to be adjusted before shipping, while also maintaining the Customer’s written tolerance for the 45° angle. With this new and improved QC procedure, the Manufacturer can rest assured his data are accurate, because he can now confidently measure what he sees. This saves the Manufacturer difficult quality discussions with their customer, lost revenue due to wasted time and lost production, and – even more difficult to measure – confidence lost with their customer. 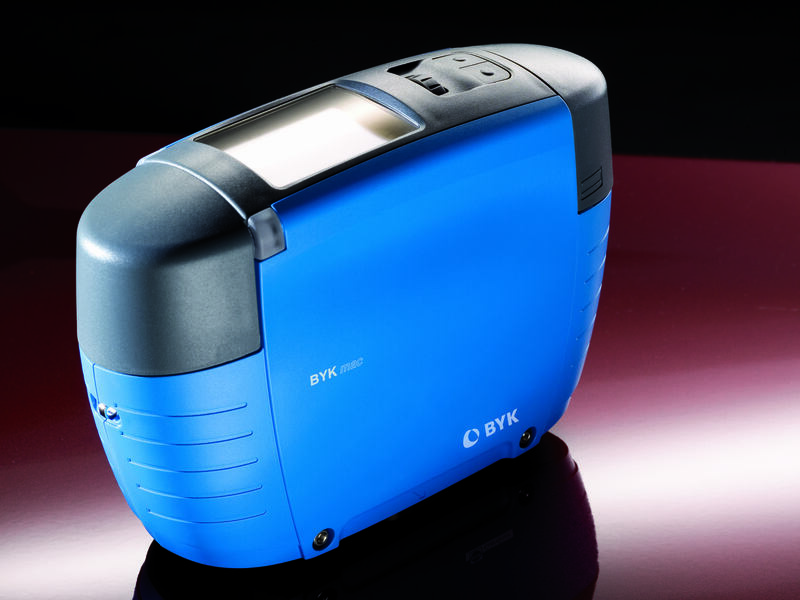 For more information on BYK-Gardner’s BYK-mac i, please click on the BYK-Gardner website. Jeralyn Camp is an End Use Manager for Coatings, Ink and Cosmetics at BYK-Gardner USA.